Back with a bridge-blasting vengeance! Strategically place dynamite to inflict maximum damage on the enemy. 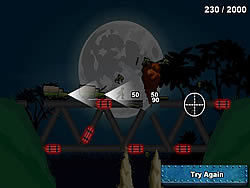 Reach your destruction targets to pass each level.